The heart rate is the rate of the pulse beat of the heart which pushes the blood through the circulatory system. It is being measured with special apparatus called manometer or there are newer versions of pressure measurements with digital pressure apparatus which shows the pressure and the pulse which is the heart rate. To understand the origin of pulse and heart rate, it is important to know the circulatory system and its parts. The heart is the main organ which is responsible for blood propulsion through the system. From this point, there are small and large circulation circles which are in charge of blood oxygenation and blood transmission to the body. The small circulation goes from the right atrium into the right ventricle and into the lungs via the pulmonary artery. This name for pulmonary artery is opposite from its function since it carries the vein blood or the deoxygenated one. It gets into the lungs and inside the alveoli, the oxygen is being submerged into the blood. From there, the big circulation occurs, where the oxygenated blood goes through the pulmonary veins into the left atrium and into the left ventricle. From the left heart, the blood goes through the aorta into the body where it gets used for body metabolism. The pulse is the process of the blood getting inside the arteries by which it pushes the artery’s wall and it’s being transmitted to the manometer. Pulses can be felt all throughout the body, from the radial artery to the carotid artery, femoral artery, popliteal artery, brachial artery, tibial posterior and dorsal pedis artery. These are the most common arteries where you can feel the pulse. 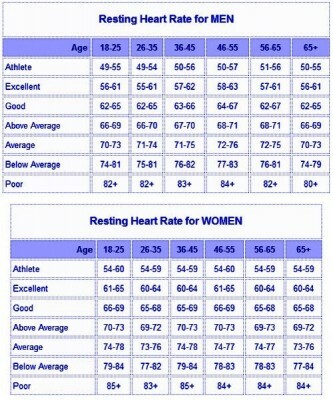 What Is the Normal Rest Heart Rate? A normal resting heart rate is being measured while being still, calm and sitting or lying in bed. It is best to measure in the morning in the bed or after you have been calm for at least ten minutes so your heart can slow down its rhythm to the appropriate rate. How to Measure Normal Heart Rate? You should first sit or lay down and have a few minutes of rest. Then, find one of the places where you can feel the pulse like we mentioned above. If you measure yourself, you can find the radial artery by placing your index finger and tour middle finger at the inside part of your wrist bellow your thumb. With your thumb below the wrist, you should secure the grip while holding your hand with your other two fingers above. If you are at the right spot, you should feel the pulse. When you have found the artery, use your watch to look at the seconds and count for pulse beats for 10 seconds. 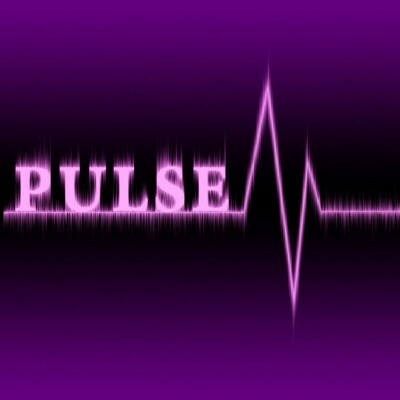 Multiply the number of pulses counted by 6 and you should get the pulse rate per minute since you have 60 seconds. 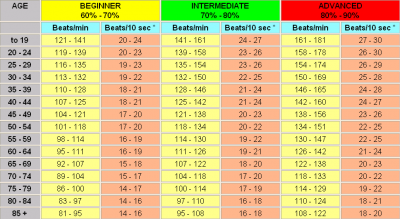 Pulse rate = ______ x 6 = ______beats/min. There are some differences for pulse rate among adults, children, and athletes. Here is the chart below. For the newborns and children, the pulse is faster and can get up to 160 beats per minute. As they grow, it goes down and it is from 60 to 100 from the age of 12. The athletes are known to have slow heart rate due to their training where they can have from 40 to 60 beats per second and this is considered normal due to circumstances. There are some situations where your heart may slow down or speed up due to the activity of your body, stress, beverage consumption, etc. Here are some examples. Some drugs that can stimulate the heart rate. Target heart rate is the optimal heart rate during exercise which targets your heart activity between 60 to 80%. This reduces the risk of injury and gets the best results at losing weight. If your heart rate is above 85% of your maximum heart rate, you are at risk of injury, either cardiovascular or orthopedic one. It depends on the person’s age. The moderate activity uses from 50-69% of maximum heart rate, while the intense workout can get up to 90% of maximum heart rate. 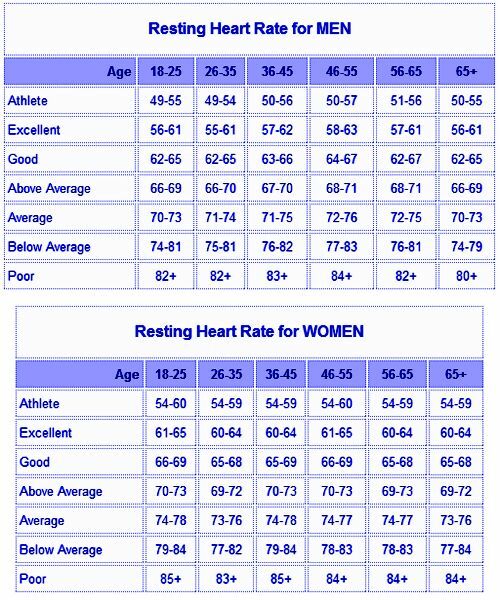 Find your age in the chart and your best maximum and target heart rate. How to Get at Target Heart Rate? While you’re exercising, stop and count your pulse. This time, count it for 15 seconds. You can check at your carotid artery or radial artery. When you get the number of beats, multiple by 4 to calculate your pulse per minute. Then, put your age in the maximum heart rate formula and count your maximum heart rate. Then multiple 0.85 with the number you’ve got, and you will have 85% of maximum heart rate which is the target heart rate. If you’re over that number, try to slow down and adjust the intensity of your workout.